It gives me great pleasure to introduce you today to James Mundy, PR and Marketing Manager at InsideJapan Tours (IJT) – award-winning specialists in travel to Japan. AM: James, thank you for taking the time to answer a few questions for me. First, please could you tell us a bit about InsideJapan Tours – who are they, why are they different to other tour companies, and how did you end up working there? JM: Like everyone at IJT, I have a passion for all things Japan and its culture. I joined this small company back in 2005, keen to do a job that had heavy links with Japan and would enable me to work with something I love. InsideJapan Tours consisted of four people in the UK and two people in Japan, all of whom were keen to promote Japan as a holiday destination for people who wanted something unique and inspiring, and to expel the myths that Japan was ridiculously expensive and inhibitive in terms of travelling. IJT staff have all lived and worked in Japan, and I had been out on the JET programme. Inspired by a very different culture, I intended to stay for a year but loved the mountains and culture of ‘innaka’ [rural] Gunma prefecture, staying for three very happy years (maximum term at the time). I then went to try a life in the city, working in Tokyo for a very different experience of Japan life, before returning to the UK for various reasons. After working for a Japanese engineering firm in the middle of the Wiltshire countryside, I discovered InsideJapan Tours and met like-minded people keen to talk to others about Japan. InsideJapan Tours was created in 2000 after Alastair Donnelly and Simon King had been working together in Toyota city near Nagoya. When I began at InsideJapan Tours, I spent a large chunk of my life travelling between the UK and Japan, getting the best of both worlds – seeing friends and family in the UK and in Japan, as well as enjoying the food, travelling to really interesting places, Japanese hospitality at ryokan [traditional inns], great food and a lot more. As the company has grown, my job has evolved into more of a promotional role for IJT and Japan. I don’t get to head over to Japan as much as I use to, but I am very much in touch with what’s going on in Japan, speak a bit of Japanese still, get to talk to people about the place I love and I still get over approximately once a year. IJT specialises in travel to Japan and, as I have said, is made up of people who have all lived, worked and travelled in Japan, speak Japanese and know/love the place. We have a number of group tours taking in the classic sights as well as tours that head to the more hidden gems. Unlike some tour companies, all the tours use public transport in Japan as it is the best way to get about and to experience Japan and its culture, rather than be cooped up in a tourist bubble on a coach. We also have self guided packages and can tailor travel to suit time frames, budgets and interests, covering the length and breadth of Japan from Hokkaido to the Yaeyama Islands. Many of the places we use, we have visited ourselves or our Japan based staff have visited, which gives us a stronger relationship with the ryokan [traditional inn] and minshuku [budget traditional inn] owners and small independent hotels all over Japan. The fact that we have an office in Japan is also one of our strong points. The English speaking staff are there to assist our independent customers with just about anything and are on hand to help. They have helped with last minute gig tickets, dentist appointments and even personally delivered a particular brand of soy sauce to a high-end customer in Tokyo by Shinkansen from Nagoya. We can do just about anything and everything in Japan, and sometimes do! InsideJapan Tours aims to give people a proper cultural experience of Japan to suit their interests. We have organised trips for backpackers, manga fans, honeymooners, OAPs, luxury travellers, gay couples and families, designing a trip that’s right for them and to reach their expectations. Fortunately, it usually exceeds them. AM: Inside Japan Tours has a fabulous blog. Who writes the blog posts, and what kind of content do you try to include? JM: Glad people are liking the blog. We started the blog in 2009 (I think) and just had it there as another outlet for our Japan love. We just wanted to promote all things Japan, use it to give our opinions on things such as food, and highlight a few alternative things in Japan such as the cricket. As well as the UK staff writing pieces, we wanted to get blog pieces from our Japan office staff to give a slightly different outlook, get pieces from our tour leaders (who are all westerners living in Japan), and from some of our willing customers for another angle. After the tsunami [2011 Tohoku earthquake and tsunami], we were more active on the blog I guess as we still had customers travelling to Japan who were keen to tell the world that Japan was still very much alive and kicking and a fantastic place to visit. We are also keen to get customers writing about their trips if they are doing something a bit different. We have a customer at the moment who absolutely adores Japan, having travelled there once before, but this time she is there to get married in Kamigamo Shrine in Kyoto, which will be an amazing experience and one that she is keen to share through the blog. The blog does represent IJT and Japan, but it is quite a casual outlet for us in a way. Although run by us (a company) it is not a hard sell and was recognised by 101 Holidays who rated us in their Top 25 travel blogs. It’s nice to know that the blog pieces get read! 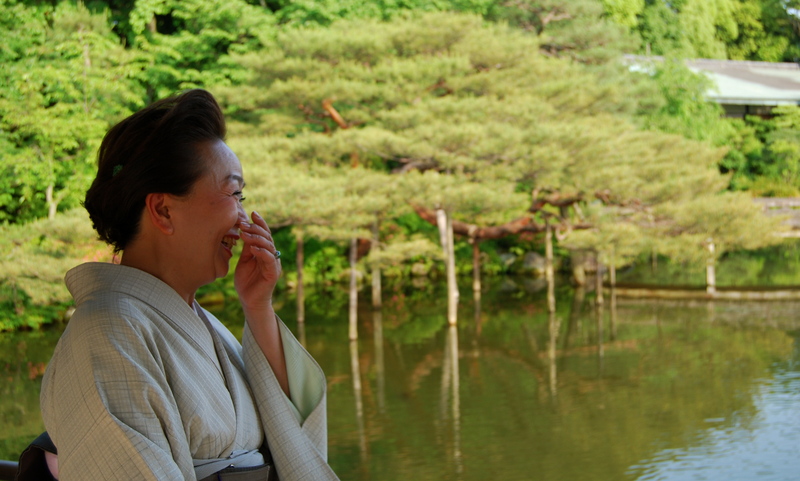 AM: InsideJapan Tours offer a lot of small group tours as well as tailored trips. 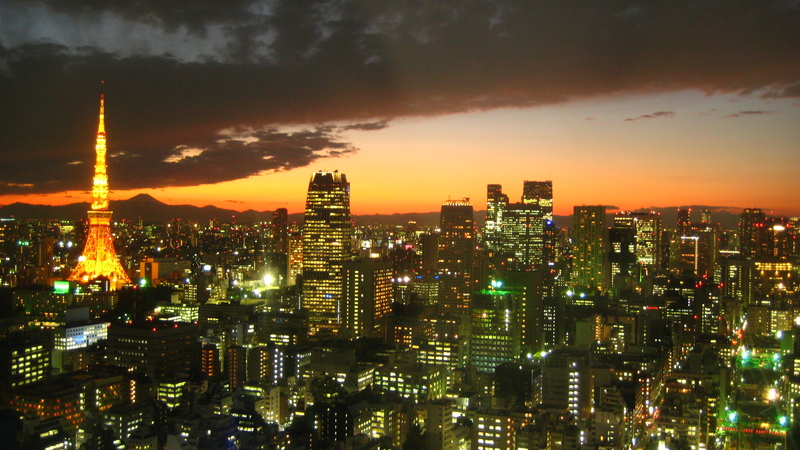 If you were advising a customer who was planning their first trip to Japan, which would you suggest and why? JM: First time travellers to Japan should always consider Tokyo to discover the old and the new that sit side-by-side so well, as well as Kyoto as the cultural centre of Japan. 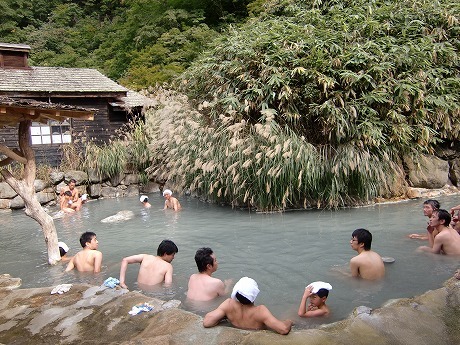 It is always a pleasant cultural experience trying hot spring baths and along with the some of the stunning landscape, this is why we usually suggest somewhere like the Hakone National Park. Japan really does have it all in terms of places to visit with exciting cities, impressive mountains, beautiful beaches, wildlife and great skiing and so it is quite tough to suggest places. One thing that we do strongly suggest is that first timers stay in a ryokan [traditional inn] for a ‘Japan only’ cultural experience. The smell of fresh tatami [straw mats], wearing yukata [cotton kimono], wonderful meals served to you by kimono wearing hostess and relaxing (hot spring) baths. Some people think that sleeping on a futon is likely to be similar to sleeping on a patio floor and also don’t appreciate that there are ryokan to suit all budgets right up to the super-deluxe level. 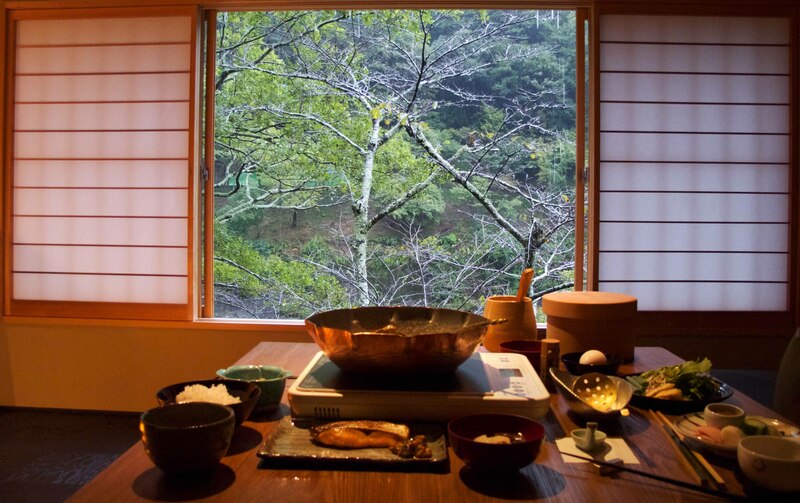 Thankfully, people enjoy their Japanese ryokan experience and it usually provides them with some interesting cultural stories to tell their friends. AM: What are your favourite parts of Japan and, if you were a customer, which “experiences” would you want to include in your tailored trip, and why? JM: I have a special place for Gunma for obvious reasons, but it is actually a beautiful place with lots of mountains and onsen. I promised myself that I would put Gunma on the map (although I think it is a long way from being a household name, and that’s part of its attraction) and created the ‘Traditional Spas‘ self guided package to include Kusatsu Onsen which is one of the most famous onsen in Japan. I am a big fan of Takaragawa Onsen in Gunma which we do include in tailored trips for those looking for complete cultural immersion – literally. This onsen flows up through the river in the middle of forests near Minakami. The onsen is ‘konyoku’ or mixed (although there is a separate bath for women) and it is stunning during the autumn leaves in November or in the deep snow of winter. Moving further away from Gunma but with a love for onsen, Kinosaki Onsen is one of my favourite little towns, unspoilt by huge out-of-place hotels and built along a willow tree-lined winding river. The day is spent doing ‘onsen meguri’ – strolling in yukata and geta [traditional footwear] from onsen to onsen, stopping along the way for a little beer or snack before having another bath and returning to your ryokan for the evening. Although I am sure it doesn’t sound particularly exciting, it is a beautiful town and a wonderful cultural experience. AM: How was tourism affected by the Great East Japan Earthquake, Tsunami and Nuclear Disaster in March 2011, and how are things now? JM: Tourism to Japan was massively affected directly after the Tohoku tsunami. The earthquake and tsunami hit just before the peak cherry blossom season in 2011, which caused a large chunk of annual business to cancel, partly because they were concerned about the disaster and partly because the Foreign & Commonwealth Office (FCO) were preventing people from travelling to Tokyo. Thankfully people came to realise that Japan is actually a very big country and that the majority of the country was physically unaffected by the natural disaster, and people began travelling again. Most of the people who had cancelled after the tsunami decided to postpone and travel later in the year, which was very encouraging. InsideJapan Tours had people in Japan throughout the events of March last year and every one of them returned safely, praising Japan, the people and their experiences. Many of our customers travelled despite inaccurate press about radiation and disaster, and expressed their relief and pleasure about continuing their travels to Japan, and the fact that their enjoyment was not affected at all. Some of these accounts can be found on the InsideJapan Tours blog. Tourism to Japan has gradually been recovering and February saw our most successful sales month in our twelve-year history, which is quite something, and a sign that the industry has recovered to an extent, although there is still a lot of work needed. InsideJapan Tours want to concentrate on all the good things that make up this amazing country, but we do not want people to forget what happened last year. We raised more than £25,000 for charities helping with the tsunami relief and continue supporting charities that work in the worst tsunami affected areas of Tohoku. We have just released our ‘Tohoku Treasures‘ self guided package, which allows people to contribute with the charity It’s Not Just Mud, working in the Ishinomaki area, and explore the existing beauty and culture of the Tohoku region. Hopefully this will be beneficial for the area and people in more ways than one. AM: That sounds amazing, James! I’m tempted to sign up right now! So, finally, why should people visit Japan now, more than ever? JM: If people have been thinking of visiting Japan, there is absolutely no reason why they shouldn’t visit now. In fact, they should think about going to Japan as soon as possible, and will be thankful for discovering Japan. It is very different to anywhere else in the world in terms of culture, people, infrastructure, countryside and every day life. It is hard to travel to a (civilised) place in the world today which is so different, where you will experience something new everyday, discovering something that will inspire you. It is very hard not to fall in love with the Japan. This was the case before the events of March 2011 and is certainly the case after, with the wonderful people of Japan going even further out of their way to make sure you enjoy their country – Nihon. Thank you, James! 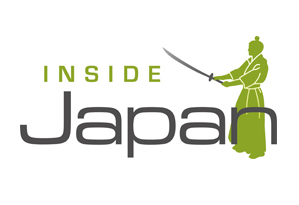 For more information about InsideJapan Tours and to book a trip to Japan, please visit their website: www.insidejapantours.com.